**This recipe contains fruit. Please refer to your Wellness Consultant and/or Candida Program Calendar before making this recipe. Peel, core, and slice the apples. Place all of the slices in a crock pot and pour the water over them. Sprinkle the salt, cover and set your timer to 6 hours on low. After 6 hours, stir in the syrup, lemon juice, vanilla and cinnamon. 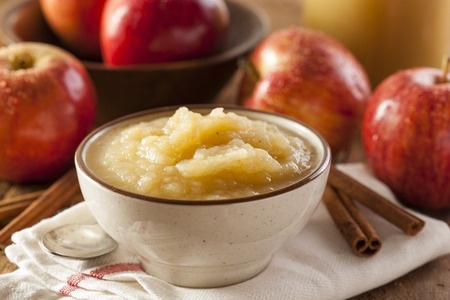 Mash the apples with a potato masher to your desired consistency of applesauce.